Charming country-style home situated on 2.95 acres in the Stillmeadow community of Oakhurst. With a choice location near Yosemite and Bass Lake, this home offers a special appeal to mountain dwelling enthusiasts! 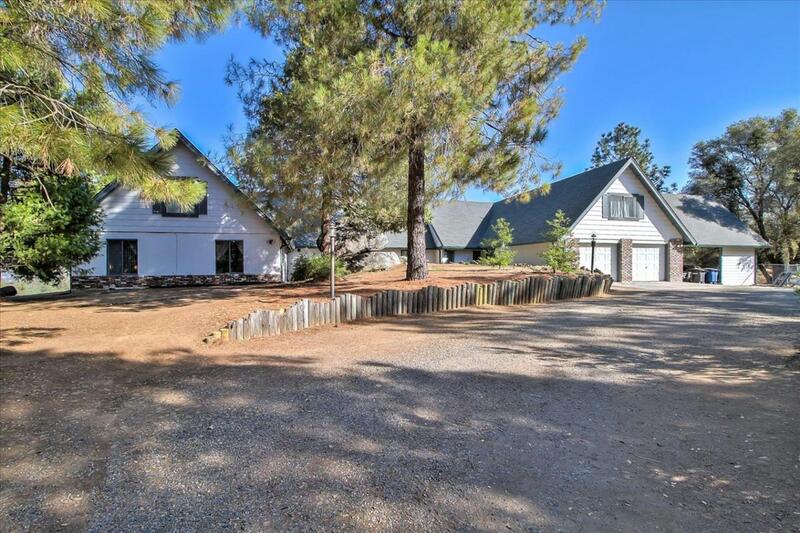 The exterior features that include a circular driveway with a 4-car garage, and attached carport, pool, and enchanting million-dollar views of the Sierras, gives this home a versatile appeal for retirement/vacations and AirBnbs. Encompassed in the 3,594 sq/ft bottom floor includes: a lavish den with approx. 20' high wood beam ceiling with a distinctive Regency wood burning stove, 5 beds/3.5bath, a game room, and large kitchen with a walk-in pantry. Home graciously includes 2 bonus areas on the second floors for extra storage and recreation equipment. Make an appointment today! Listing provided courtesy of Larisa Rahmil of Faira.Com Corp.